With its 350m (1,150ft) eye-safe long-range scanning technology, the GLS-2000 features survey-grade accuracy that reduces the amount of scan setups required on site. The integrated twin cameras help ensure that the images recorded provide the best possible definition photography for all levels of scan detail. 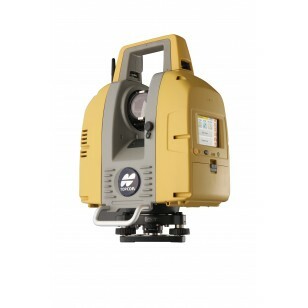 Topcon’s GLS-2000 laser scanner allows you to quickly and accurately capture 3D data at any project site. An industry leading laser scanner no-serious practitioner should be without, the GLS-2000 can be utilised at any job site. Powered by user selectable dual laser capability, the operator is able to choose between a Class 3R and Class 1 laser according to the job site conditions. With a scan range of over 350 metres the GLS-2000 is a versatile tool that lets you get laser scanning in many different work environments. The stand- alone capability of the scanner combined with its rugged design provides technology that will stand up to the most extreme outdoor work sites. Historically difficult to measure subjects such as buildings, antennas and spans are recorded at the press of a button. The scanner is a quick, simple and effective way of capturing 3D data at high speed but without sacrificing the accuracy required for today’s demanding professionals. The usability of the GLS-2000 provides one-touch operation for the non-specialist but also satisfies the survey professional with occupation and backsight operation. Instrument height measurement and the dual on-board digital cameras provide for ultimate productivity and practicality when dealing with point clouds. The GLS-2000 laser scanner together with ScanMaster software provides the ultimate package for people who want the quick, easy and cost-effective route into laser scanning. The technology embodied in the GLS-2000 laser scanner provides the features that make it the ultimate tool for all users. The class leading specifications of the scanner make it an ideal tool for the BIM environment. Scan to Bim and ‘as built’ projects will benefit from the precision and productivity provided by the GLS-2000. The rugged, compact scanner is ideally suited for the demands of outdoor work sites. The dual cameras provide maximum flexibility whilst user selectable lasers allow scanning in any environment. Scanning has never been so easy with one touch scanner operation. Utilise pre-set scan-ning parameters to save time and increase efficiency. On-board checking of scanned data ensures correct coverage of project. Data workflow is completed with ScanMaster software. Features include shape matching, auto edge extraction and orthophotos. File format compatibility ensures integration with 3rd party software. The ultra high speed scanning of the GLS-2000 provides time saving benefits to users without compromising accuracy. The scanner will collect a full 360º scan of your work site in under 3 minutes including images.